Chiropractic is a healing profession that enables the body to function better. When you receive a chiropractic adjustment, the ability of the body to self-heal and self-regulate is restored, resulting in optimized function. At Power Chiropractic Clinic, our care is defined by a drug-free, gentle approach to wellness. Patients will receive customized care that’s always delivered with compassion and integrity. We feature research-based techniques that have stood the test of time; these approaches include Diversified, extremity adjusting and Thompson Drop-Table. Our office also provides technologically-advanced treatment choices through hand-held computerized instrument adjusting. 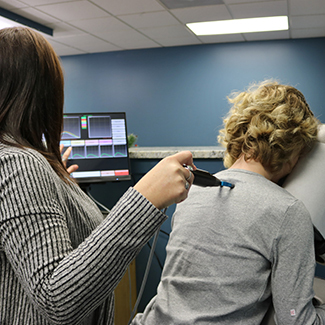 This approach requires no twisting or popping of the spine, and is ideal for older patients and those who are initially apprehensive about receiving one of our gentle adjustments. You’ll always be warmly welcomed to our health care center when you come in for a visit; we look after our patients as family members. We encourage you to contact Power Chiropractic Clinic today for a same-day appointment; we also accept insurance, including Medicare!